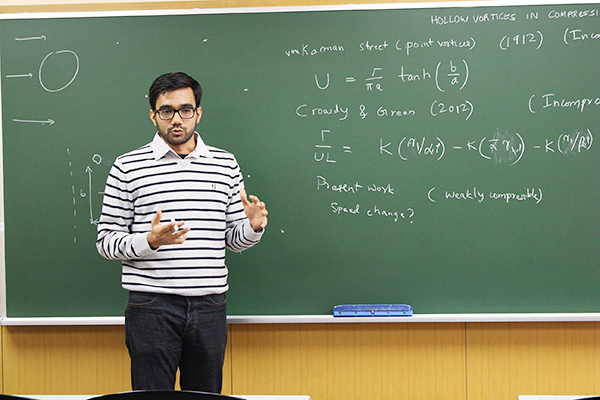 In the field of mathematics, Kyoto University boasts a group of researchers of the highest international caliber who have recorded a significant number of pioneering research achievements, covering a wide range of subjects in the mathematical sciences. Guidance provided by faculty staff engaged in leading-edge research and by top researchers from overseas enables graduate students to take their place at the forefront of mathematical studies and to prepare themselves for embarking on successful careers on the international stage. Continuously producing results regarded as milestones in the history of mathematics, our researchers have been awarded numerous world-renowned prizes, such as the Fields Medal, the Carl Friedrich Gauss Prize, the Wolf Prize in Mathematics, the Kyoto Prize, the Henri Poincaré Prize, the Humboldt Prize, the Dannie Heineman Prize for Mathematical Physics, the Cole Prize, and the Fulkerson Prize. 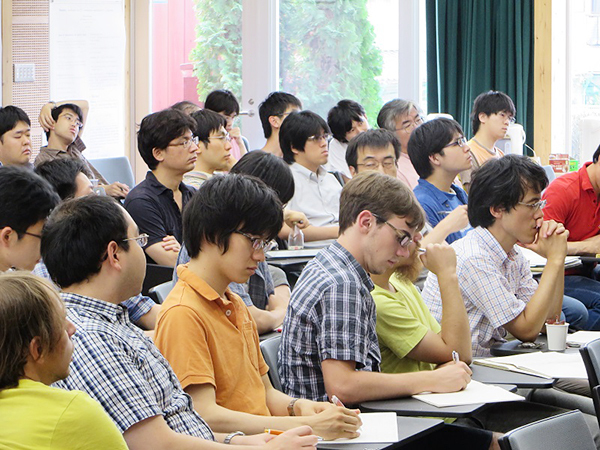 In addition, several members have been invited to serve as keynote speakers at the International Congress of Mathematicians (Masaki Kashiwara, Mikio Sato, Shigefumi Mori, Yasutaka Ihara, Tetsuji Miwa, Hiraku Nakajima, Kazuya Kato and Takuro Mochizuki). 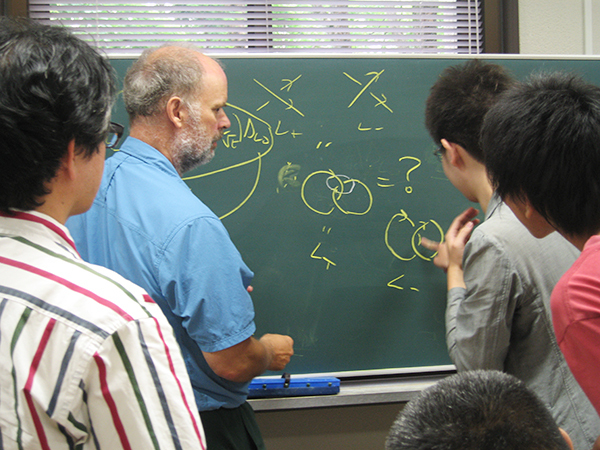 Students enrolled in the Mathematics Course receive research guidance provided by researchers from world-leading universities of high international repute, and by Kyoto University faculty members, in preparing their doctoral dissertations. We are involved in partnerships with leading overseas universities, employing or inviting researchers from 28 universities in 10 countries, or having such researchers serve as co-supervisors for our graduate students. 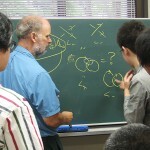 In 2016, Kyoto University entered into an agreement on research exchange with five prominent mathematics research institutions (University of Bonn, New York University, École Normale Supérieure Paris, and Peking University) with the aim of further promoting interaction in international environments for graduate students and young researchers. We have invited a number of prominent researchers from overseas, such as the employment of Fields Medalists Professor Okounkov (Columbia University, U.S.A.) and Professor Jones (Vanderbilt University, U.S.A.) as Distinguished Visiting Professors. With research guidance provided by overseas researchers serving as co-supervisors, three of our graduate students earned doctoral degrees in academic year 2015, seven in 2016, and five in 2017. In addition, a lecture course by Associate Professor Tetsushi Ito, entitled “Fun with Prime Numbers: The Mysterious World of Mathematics,” has been circulated on MOOC for students around the world.